Emerging markets are countries in the process of rapid growth and industrialization. These emerging markets are playing an increasingly important role in the global economic system, as they are now driving more than half of global economic growth. Brazil has been a significant growth driver in Latin America as the largest economy in the region. The country has experienced an “economic miracle” over the past decades. It has faced significant economic turmoil, survived a military dictatorship and grew its GDP from $15 billion in 1960 to the world’s seventh largest economy, breaking $2 trillion in 2011. Brazil is known for its rich natural resources. In addition to its extensive offshore oil fields, the country is the second largest iron-ore producer in the world and produces more ethanol than Asia and Europe combined. These resources help it produce a wide variety of consumer and industrial goods while serving as a key raw-material supplier to countries such as China. Investors have a wide range of options, from exchange-traded funds (ETFs) to securities listed on its stock exchange – the MB&F Bovespa. If you are looking for direct exposure, you can buy Brazilian securities directly through many global trading platforms with access to the MB&F Bovespa. But if you are looking to invest directly, you will need to have local entities act as custodians on brokerage accounts and register with the Brazilian Central Bank and other regulatory and tax agencies. With a population of 1.41 billion, China is the world’s most populous nation. Although its economy has been slowing down over the past few years, it remains a major global growth driver. China’s economy is known for its manufacturing sector, which surpassed the US as the largest in the world in 2010-2011. Although the country maintains many state-owned enterprises, its free-market policies have encouraged a vast amount of foreign investment. There are several ways to invest in China, which ranges from ETFs to securities listed on its two domestic exchanges. India’s rapidly growing population and dynamic economy make it an emerging economy to watch. It has a promising demographic dividend (economic growth brought by a change in the population’s age structure). India is known for its IT and BPO industries, but it also ranks second in farm output worldwide and 12th in terms of nominal factory output. These industries have driven the country to become the world’s third largest economy based on purchasing power parity. The country also has the third largest higher-education system and one of the fastest growing workforces in the world. Aside from investing in securities listed on its Bombay Stock Exchange and National Stock Exchange of India, investors can also opt for ETFs. Russia’s shift from communism to a Wild West-like embrace of capitalism has had a huge impact on its economy. As a leading oil and natural gas exporter to Europe, the country has benefited from the secular growth in commodities and continues to expand. The global boom in commodities also helped its stock market become one of the world’s top performers until 2015. Aside from its rich natural resources, the country’s IT and telecommunications industries have experienced significant growth. Also, its citizens’ personal incomes are growing by 10% to 15% per year. Investors looking for direct exposure can buy Russian securities directly using any global trading platform with access to the Russian Trading System (RTS). Its most popular stocks are listed on the RTS 50 index. Thailand is the most consistent performer among emerging markets in the past decade. According to FE Trustnet, it has delivered an annualized performance of 17.81% since the beginning of 2008 and a 10-year total return of 253.37% to the end of 2017. Several factors have contributed to Thailand’s strong performance over the past decade. First is that its foreign exchange has remained stable because it runs a large current account surplus. Also, Thai corporates have been good as a whole with conservative policies and a focus on sustainable performance. For instance, when they did not save bankrupt institutions in 1997-1998, it created conservatism in most companies of not growing via extreme leverage. Another factor is that the country’s performance has been very broad-based, with no standout companies alongside a stable macroeconomic environment with steady growth. 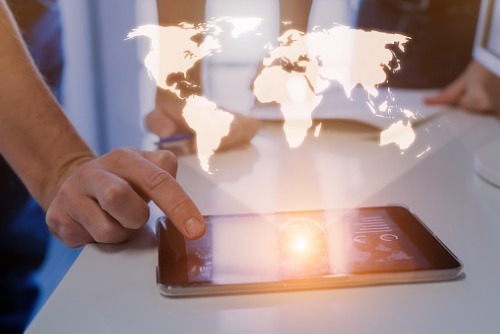 Generally speaking, investors may want to consider allocating a portion of their portfolio to these top-performing emerging markets. ETFs represent the easiest way to gain exposure without worrying about tax and legal implications. However, before investing, it is crucial to be aware of the risks involved to adjust allocations and secure an optimal risk-adjusted portfolio return.